M R Gardens in the Oakley community of Asheville opens its sustainable nursery to the public Saturdays, April 13 through June 8 from 9 a.m. to 4 p.m. We offer native perennials, groundcovers, seasonal vegetable starts, culinary and medicinal herbs, as well as other plants that benefit you and the garden. 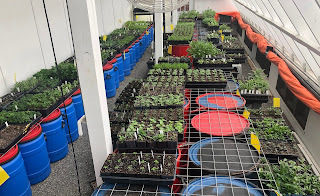 Passive solar greenhouse in early April. Find us at 441 Onteora Blvd., Asheville. If you have questions, contact megan@mrgardens.net or leave a voicemail at 828.333.4151. If you can't make it on Saturdays, we can be open by appointment. Reserve your plants at our online store: squareup.com/store/m-r-gardens. 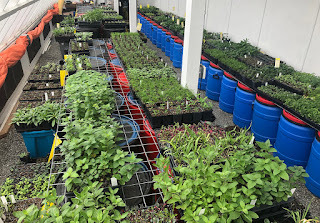 You’ll find descriptions of most of our plants at this site. Availability changes each week, but we’ll mark a * beside the ones that are in stock the day before the sale. Check the online store for additional selections available via pre-order. We aim for as sustainable as possible, using organic methods and growing in a passive solar greenhouse heated entirely by solar gain and cooled with manual vents. Our potting soil incorporates bi-products of other manufacturing processes to avoid the over-use of peat. We grow on a small scale with attention to quality, and diversify our income streams to alleviate pressure on the nursery. 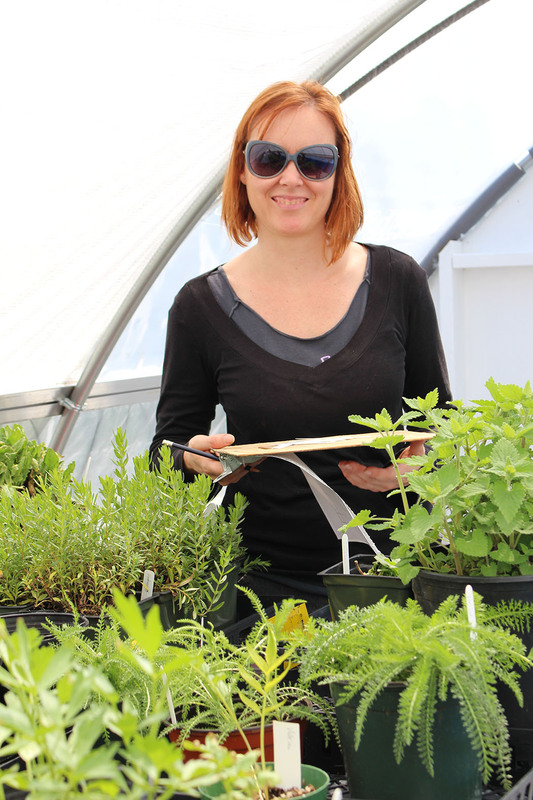 If you’re interested in a tour of our passive solar greenhouse, contact us to set up an appointment. See the description here.